These Water Inflatable Slides and Water Obstacle Courses will transform any pool, lake or sea into a true water park. 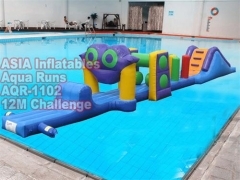 12m Aqua Run Challenge, Pool Inflatable, Pool Inflatables, Inflatable Pool Toys are inflatables float on the top of Swimming Pools, they are a great idea for your Resort Swmming Pools, Theme Parks and Aquatic centres. Hugging The Curve, Pool Inflatable, Pool Inflatables, Inflatable Pool Toys are inflatables float on the top of Swimming Pools, they are a great idea for your Resort Swmming Pools, Theme Parks and Aquatic centres. Pool Inflatable, Pool Inflatables, Inflatable Pool Toys are inflatables float on the top of Swimming Pools, they are a great idea for your Resort Swmming Pools, Theme Parks and Aquatic centres. 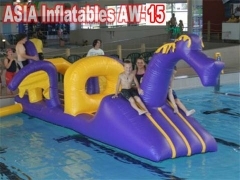 Loch Ness Monster Adventure, Adventure Inflatables, Water Obstacle Course Inflatables, Aqua Runs. Coming with CE/UL Certificate and EN14960 Certificate. OEM is welcome. High Quality, Wholesale Price, 3 Year Warranty. Dinosaur Adventure, Adventure Inflatables, Water Obstacle Course, Aqua Runs. Coming with CE/UL Certificate and EN14960 Certificate. OEM is welcome. High Quality, Wholesale Price, 3 Year Warranty. 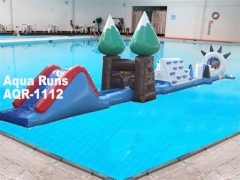 Super Arctic Adventure, Adventure Inflatables, Water Obstacle Course, Aqua Runs. Coming with CE/UL Certificate and EN14960 Certificate. OEM is welcome. High Quality, Wholesale Price, 3 Year Warranty. Hugging The Curve, Adventure Inflatables, Water Obstacle Course, Aqua Runs. Coming with CE/UL Certificate and EN14960 Certificate. OEM is welcome. High Quality, Wholesale Price, 3 Year Warranty. 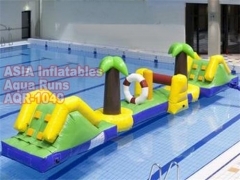 Tropical Island Adventure, Water Obstacle Course, Aqua Run Pool Inflatables. Coming with CE/UL Certificate and EN14960 Certificate. OEM is welcome. High Quality, Wholesale Price, 3 Year Warranty. 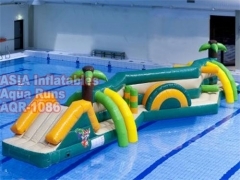 Tropical Island Adventure, Water Obstacle, Aqua Run Pool Inflatables. Coming with CE/UL Certificate and EN14960 Certificate. OEM is welcome. High Quality, Wholesale Price, 3 Year Warranty. 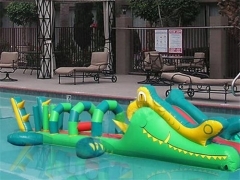 Crocodile Junior, Crocodile Junior Adventure, Crocodile Junior Pool Inflatables. Coming with CE/UL Certificate and EN14960 Certificate. OEM is welcome. High Quality, Wholesale Price, 3 Year Warranty. 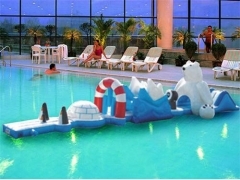 Adventure Inflatables, Aqua Run Pool Inflatables, Inflatable Pool Toys. Coming with CE/UL Certificate and EN14960 Certificate. OEM is welcome. High Quality, Wholesale Price, 3 Year Warranty. Dinosaur Adventure Pool Inflatables, Pool Toys. Coming with CE/UL Certificate and EN14960 Certificate. OEM is welcome. High Quality, Wholesale Price, 3 Years Warranty. 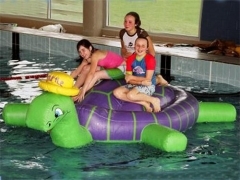 Inflatable Turtle Boat. 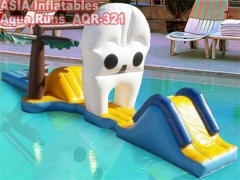 Inflatable Pool Toys, Water Toys. Easy to carry it, and safe the place. Experience Manufacturing. Competitive Price. High Quality. OEM is Welcome. Crocodile Junior, Crocodile Slide, Crocodile Obstacle. Inflatable Pool Toys, Aqua Runs, Airflow Water Games. Easy to carry it, and safe the place. Experience Manufacturing. Competitive Price. High Quality. OEM is Welcome. Crocodile Slide, Crocodile Obstacle. 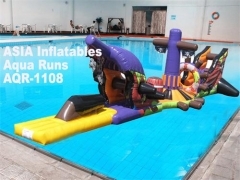 Inflatable Pool Toys, Aqua Runs, Airflow Water Games. Easy to carry it, and safe the place. Experience Manufacturing. Competitive Price. High Quality. OEM is Welcome. Inflatable Pool Toys, Aqua Runs, Airflow Water Games. Easy to carry it, and safe the place. Experience Manufacturing. Competitive Price. High Quality. OEM is Welcome. 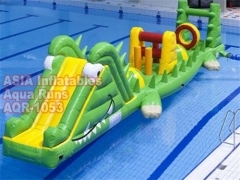 Aqua Runs, Inflatable Pool Toys, Airflow Inflatable Water Games. Easy to carry it, and safe the place. Experience Manufacturing. Competitive Price. High Quality. OEM is Welcome. 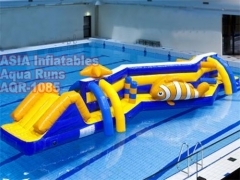 Aqua Runs, Aqua Run Pool Inflatables, Airflow Inflatable Water Games. Easy to carry it, and safe the place. Experience Manufacturing. Competitive Price. High Quality. OEM is Welcome. Aqua Run 15m Adventure Experience Manufacturing. With our water-inflatables we have created water parks all over the world, from Spain to Dubai and from Greece to South-Africa. Contact us to see how we can convert your pool or lake into an attractive water park for children! Swing Splash, Swing Splash Adventure, Aqua Run Swing Splash Adventure is one of our newest pool inflatables, water inflatables. Commercial Grade and Durable PVC tarpaulin, Water Proof and Fire Resistant. Easy to carry it, and safe the place. OEM is Welcome. Aqua Run Mega Slide Adventure. With our water-inflatables we have created water parks all over the world, from Spain to Dubai and from Greece to South-Africa. Contact us to see how we can convert your pool or lake into an attractive water park for children! Super Twin Track Pool Inflatables. With our water-inflatables we have created water parks all over the world, from Spain to Dubai and from Greece to South-Africa. Contact us to see how we can convert your pool or lake into an attractive water park for children! Super 15m Challenge Water Inflatables will guarantee tons of fun for any child and it will boost the attractivity of your venue or company. Commercial Grade and Durable PVC tarpaulin, Water Proof and Fire Resistant. Warranty 3 Years. The Olympic Theme Water Inflatables will guarantee tons of fun for any child and it will boost the attractivity of your venue or company. Commercial Grade and Durable PVC tarpaulin, Water Proof and Fire Resistant. Warranty 3 Years. 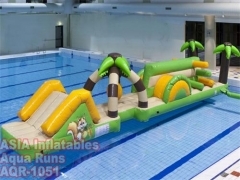 This Sea Monster Water Obstacle Challenge Water Inflatables will guarantee tons of fun for any child and it will boost the attractivity of your venue or company. High Quality, Wholesale Price. OEM is welcome. Camouflage Color Adventure Game, Aqua Run Inflatables. 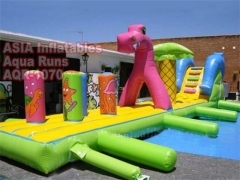 These inflatable slides and obstacle courses will transform any pool, lake or sea into a true water park. High Quality, Competitive Price. Mario Ice Adventure, Ice Adventure Aqua Runs, Aqua Run Mario Ice Adventure Water Obstacle Inflatables. 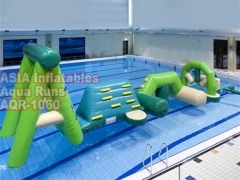 These inflatable slides and obstacle courses will transform any pool, lake or sea into a true water park. Our water inflatables will guarantee tons of fun for any child and it will boost the attractivity of your venue or company. 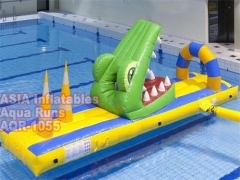 Aqua Run Crocodile, Crocodile Water Obstacle, Aqua Run Crocodile Water Obstacle Inflatables is one of the most advanced around. It is made with excellent welding machine made in USA which has stable performance. OEM is welcome. Aqua Run Shark Water Inflatables. This is one of the reasons people see sharks as scary: cruising along as they display their sharp teeth, they look as if they're poised to attack at any moment. 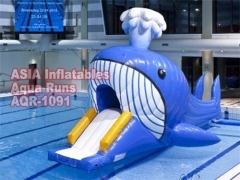 Running Amazon, Splash and Running Amazon, Aqua Runs is one of our newest Aqua Run Inflatables. We can design any size of the inflatable water game, and print any logo you want. High Quality, Wholesale Price. OEM is welcome. 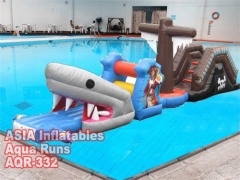 This Inflatable Pirate Ship, Maritime Medley, Maritime MedleyInflatable Pirate Ship is one of our newest Aqua Run Inflatables and maybe the funnest water games. We can design any size of the inflatable water game, and print any logo you want. High Quality, Wholesale Price, Quickly Shipping. 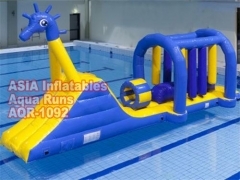 This item Ancient Athens Olympic Theme is one of our newest Aqua Run Inflatables and maybe the funnest water games. We can design any size of the inflatable water game, and print any logo you want. High Quality, Wholesale Price, Quickly Shipping. 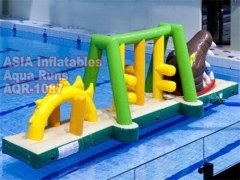 This item Hurdles Fun Run is one of our newest Aqua Run Inflatables and maybe the funnest water games. We can design any size of the inflatable water game, and print any logo you want. High Quality, Wholesale Price, Quickly Shipping. This Freckles Dragon, Inflatable Freckles Dragon, Aqua Runs Freckles Dragon is our newest water obstacles and maybe the funnest. It is made with excellent welding machine made in USA which has stable performance. Best Quality, Wholesale Price. OEM is welcome. 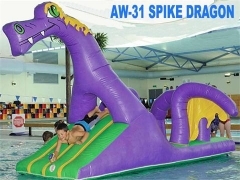 This Spike Dragon, Inflatable Spike Dragon, Aqua Runs Inflatable Spike Dragon is our newest Aqua Runs Inflatable Water Games and maybe the funnest one. Best Desidn, Top Quality, Competitive Price, Super Service.